To achieve mastery over your voice means to know your voice and body. Just like you need a mirror to tell you what you’re wearing on your head, a vocal coach can help you discover the workings of your voice and, in the process, guide you towards improvement. A good teacher doesn’t only hear what you’re doing, he or she can also feel it and thus offer tailor-made exercises and corrections. Learning to speak and sing is learning to control yourself. To consciously deal with your whole body is often a challenge of finding balance by relaxing actively. Are you contemplating singing in a choir or a band or even as a soloist? Whatever the style of music, you need a singing coach! Don’t wait until it’s too late, be careful! You only have one voice and it’s irreplaceable! In addition to the singing technique, you’ll also learn to make music, to present yourself on stage, how to handle a microphone. You’ll gain endurance, you’ll gain confidence in your voice and yourself. But mostly, together we will learn to discover your voice. You’ll quickly find that a better singing technique enables you to sing new repertoire and permits you to sing other styles of music. You’ll have more fun singing, once you’ll have learned to consciously deal with your voice and your body. 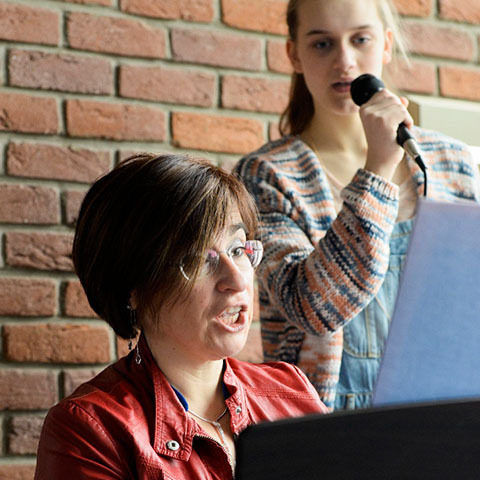 Singing lessons are given in the format of either private lessons, in which all attention is focused only on you, or group lessons with your musical friend. Making music, preparing for auditions, performances, concerts. Who can do it ? Anybody aged 8 to 88. Interested in singing courses or workshops? Zangstudio also provides voice training tailored to choirs and ensembles in the form of workshops or courses. Zangstudio supports existing groups with voice coaching. 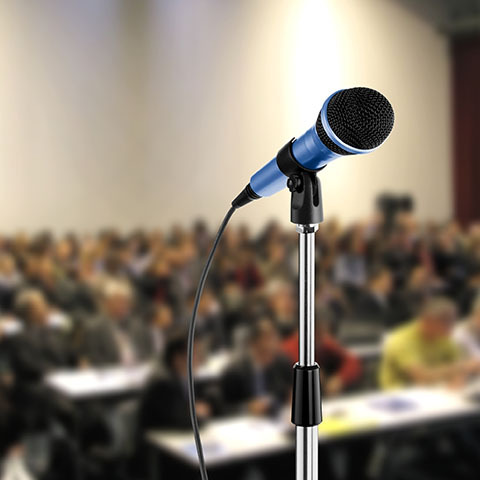 Zangstudio can also help public speakers improve their presentation: we will work on the natural sound of the voice, breathing, posture and speech rate. This type of coaching is offered in the form of workshops or private lessons. Interested in a special gift? 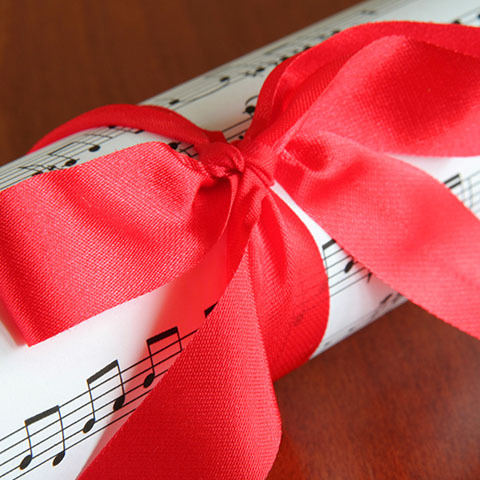 A Zangstudio gift certificate is an exclusive gift, to be converted into a concert at your home to enhance your party with live music, or a number of classes in singing technique or presentation. I’ve been studying singing with Beata for nine years now and can summarize briefly: educational, personal, witty: in short, a must! A singing lesson with Beata is one big party. No dawdling, Beata teaches! First some warming up and then a song. And we only stop when it’s perfect! I‘ve been studying with Beata for over 8 years now and I’m still learning. She doesn’t only teach the right technique, but also works on interpretation, how to present a song. And at the end of the year there’s always a big singing party where you can show your friends and family what you’ve learned. 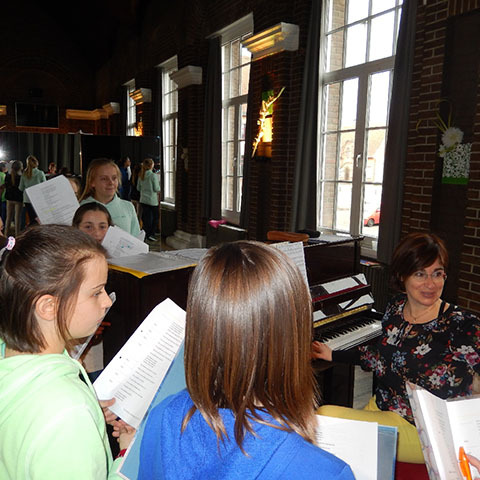 Since I’ve started studying with Beata, the quality of my voice has grown in many areas and it shows in my choirs. The quality, vocal strength and upper range have greatly improved, even at my age 65+. You have to experience it yourself. The lessons are given with a lot of personal attention, and always a challenge by the introduction of new methods. Even after 6 years I still enjoy new learning experiences. Beata always tries to find a beautiful song especially for you, always exciting. Beata Wojtczak, a singing teacher who excels by sharp analytical and personal abilities.